It is with great sadness that we announce the death of our colleague and friend Ümit Ünlüata, on Saturday 12 August 2006, in Paris, France. Ümit had been ill for several months, and despite of very good signs of recovery, he finally was defeated by a very aggressive liver problem. Turkey on 23 June 1945.
transport by gravity waves, non-linear shallow water waves, long wave excitation in harbours, harmonic distortion of long waves past a narrow opening, weak non-linear internal waves and off-shore nuclear power plants. He was an active contributor to the Mediterranean oceanographic community with his work on tsunamis in the eastern Mediterranean, continental shelf dynamics, topographic Rossby waves in the Cilician Basin, resonant tuning of inertial oscillations by sea- breeze along the southern Turkish coast, mean circulation on the continental shelf, dynamics of Bosphorus, Sea of Marmara, Dardanelles, meso-scale ocean dynamics of the Levantine, interactions of the Bosphorus with the ventilation of the Black Sea, dynamics of the Black Sea and interactions with the Anatolian coast and ecohydrodynamics of the Black Sea. In 1994 in recognition of his long career he received the “Mediterranean Prize” award from the Community of Mediterranean Universities. • Member, Executive Committee for “National Council For Oceanography” (1984-2006). • Member, Executive Group For Environmental and Marine Sciences, Scientific and Technical Research Council of Turkey (1985-1987; 1991-1994). • Vice President, Physical Oceanography Committee, International Commission for the Scientific Exploration of the Mediterranean (1984-1988). • President, Physical Oceanography Committee, International Commission for the Scientific Exploration of the Mediterranean (1988-1992). • Member, Steering and Executive Committee of the Co-operative Marine Science Program for the Black Sea (1991-1996). • Co-Chairman, Steering and Executive Committee of the Co-operative Marine Science Program for the Black Sea (1996-2006). • Director, NATO Science for Stability Program TU- Black Sea Project (1993- 2006). • Member, Turkish Committee for SCOR (Scientific Committee on Oceanic Research; 1993-2006). • Editor, Journal of Marine Systems (1997-2006). • Scientific and Technical Research Council of Turkey (TUBITAK) Co-ordinator, National Marine Science Program (1997-2006). Ümit was a close friend and collaborator of GLOBEC. He was responsible for implementing UNESCO-IOC’s co-sponsorship of our programme, and he did so with great conviction and drive. 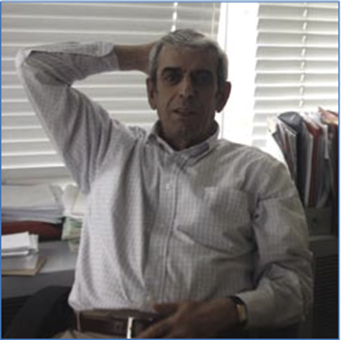 Over the years Ümit attended many GLOBEC Scientific Steering Committee meetings, where his wisdom, experience and sense of humour were always sought and respected. His vision and insight contribute to what GLOBEC is today. He was directly responsible for engaging GLOBEC in the development of a seminal paper on basin-scale ecosystem modelling (de Young et al., 2004). Ümit also ensured that GLOBEC was well represented in an IOC-sponsored workshop on Regime Shifts (Harris and Steele, 2004) and was involved in various initiatives to develop the Small Pelagic fish and Climate Change programme (SPACC) of GLOBEC, among others. He provided frank and direct advice and guidance to the GLOBEC SSC and to the International Project Office on a number of occasions. He will be sadly missed. • de Young B., M. Heath, F.E. Werner, F. Chai, B. Megrey and P. Monfray. 2004. Challenges of modeling ocean basin ecosystems. Science 304(5676): 1463-1466. • Harris R.P. and J.H. Steele. Regime shifts in the ocean. Reconciling observations and theory. Progress in Oceanography 60(2-4): 133- 402.